Last month my trusty spotty keds helpfully broke on the first day of my Amsterdam trip. Just what I wanted! After a hunt for an emergency pair to replace them in the torrential downpours I settle don a pair that cost 10 euro from H&M and decided I'd buy a new pair when I returned. It's now no longer holiday time and I can confirm that a ridiculously long hunt for new trainers has occurred and has ended in some rather beautiful new shoes! 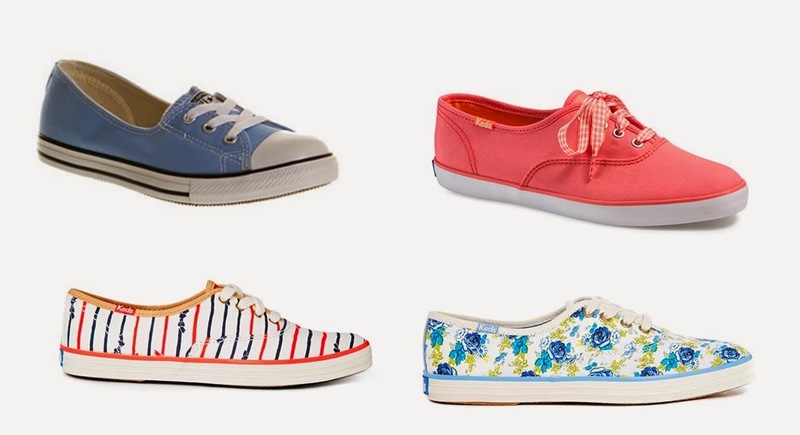 Above are all the different shoes that I considered purchasing during my hunt and the winning pair are the ones in the bottom left of the bottom picture. What do you think of the winning pair? Totally awesome right?! 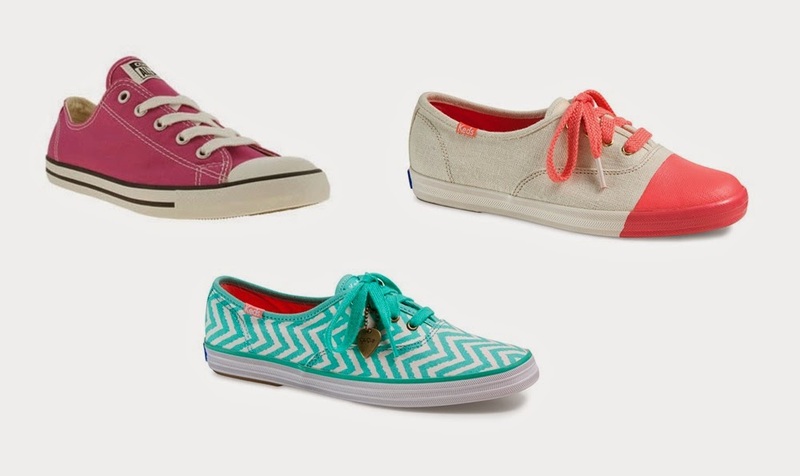 Who doesn't love shoes that have mini bows on and that are red, white and blue striped? Plus they come with red shoe laces too, I have to admit I'm a little in love!